All Recharge & Bill Payment Offers for February Month at One Place. Here is a List of All Recharge and Bill Payments Offers for the Month of February. So Hurry up and have a look below on Current Offers !! 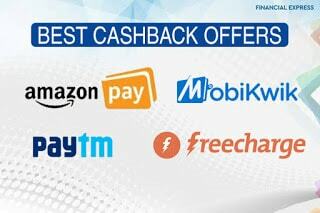 • Pay using Paytm on Vodafone app/website and get FLAT cashback of Rs 50 on bill payment of Rs. 99 or more. • Use promo code VMOVIE to get 25% cashback upto Rs. 200 on total ticket price. The promo code is valid on a minimum booking of two tickets. • Use promo code VBUS to get flat Rs. 150 Cashback on bus ticket booking, on Paytm. The minimum order value for bus ticket booking is Rs. 300. 3. Enter Promo code BINGO at PayZapp payment page. 4. Min transaction value Rs. 400. 2. Min transaction value Rs.1000.